Graysons is a dynamic and successful legal firm, based on Silver Street Head, Sheffield and on Saltergate in Chesterfield. 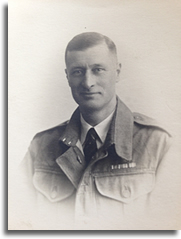 We have been around since 1925 and have built a thriving and dynamic firm over the years, but would not be here at all if it were not for the ambition and tenacity of WW1 soldier, Robert Benjamin Grayson, our founder – known as Bob to most of his friends and clients. So, in this, the centenary anniversary of the end of the first world war, we would really like to honour Robert Grayson by remembering him and his family. We thank his sons, Gordon and Derek for sharing some of their memories with us over the years. Robert Benjamin Grayson was born in Sheffield in 1891 to accountant father Benjamin Thomas Cranmer Grayson and mother, Marie Grayson. Brothers Cranmer Kay and Gilbert Thornton were born in the next few years. An ambitious and charismatic character, Robert decided to pursue a career in law and undertook his training with Sheffield firm Arnold Slater. He completed his articles and qualified as a solicitor in 1914, at the outbreak of the first world war, and that is where Graysons’ world war history began! We have always known that Robert joined the army during WWI, but what we didn’t know, and what his sons shared with us, was that Robert first joined the Royal Naval Volunteer Reserve (RNVR) Anti-Aircraft Corps, Sheffield (Brightside) in December 1914, where he stayed, first as an ordinary seaman (AB) and then as a chief petty officer, until May 1916. 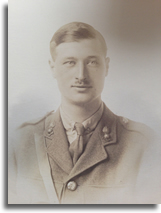 Presumably wanting a more active role in the military, Robert then joined the Royal Garrison Artillery, where he was second lieutenant, followed by the Royal Field Artillery, where he was a lieutenant. Robert served in France as a gunner for 2 years during the war and left the army in 1919 to resume his career as a solicitor. Returning to Sheffield, Robert returned to Arnold Slater, but soon went into partnership in Sheffield with Stanley Boyd Roberts. The partnership didn’t work out and so Robert set up as a sole practitioner in 1925 at 14 Figtree Lane, Sheffield. As was the case in those days, as a general practitioner, Robert dealt with a wide range of legal issues – in fact he would tackle almost anything that came through the door. During his career, Robert made a point of making as many friends as possible, and his straight up and down appeal and charisma certainly helped with that. His interest in game shooting and involvement with the National Farmers Union in Derbyshire also helped widen his circle of friends and contacts and this early ‘networking’ led to a very busy practice for Robert, who was well liked and respected in Sheffield. He was also quite an entrepreneur and bought the Baslow Hydro with a couple of colleagues before WWII, where he started developing housing. Unfortunately the second world war brought an end to that venture. Robert married Kathleen in 1923 and they had two sons, Gordon and Derek, both of whom studied law at Cambridge University, qualified as solicitors, and eventually joined their father’s firm, which became Robert B Grayson and Sons. Always one to want to do his duty, Robert’s war career didn’t end in 1919 as he also served as a captain in the Home Guard in Abbeydale during WWII. We can’t really mention WWII without highlighting Robert’s son Gordon’s own career. Like his father, he pursued a career in law, which was interrupted by the war. After attending Birkdale School, Sheffield and Haileybury, Hertfordshire, Gordon Grayson won a scholarship to Cambridge in 1942, where he undertook his first two terms before he was drafted into the navy under the ‘Y’ scheme, which recruited educationally qualified young men of potential officer material. He remained in the navy until the end of the second world war and was recently honoured with the Arctic Star for his service with the dangerous convoys that took planes, fuel and food from Scotland to Russia to help the war effort on the Eastern front. Many seamen perished in the winter convoys and Gordon was himself torpedoed twice during his career. Gordon returned to Cambridge after the war, in 1946, and finished his legal studies. At the same time, his brother, Derek, who also attended Cambridge, was called up, joining the navy as an ordinary seaman. He served on H.M.S. Ajax in the Mediterranean and was involved in the Haifa Patrol: limiting the number of immigrants entering the newly formed country of Palestine. Both brothers joined their fathers’ firm after Cambridge, completing their articles and becoming solicitors. Gordon and Derek remained with the firm, which also amalgamated with Powell & Hatfield in 1989, and operated out of offices in Figtree Lane, 7 North Church Street and Mazda Buildings – Campo Lane, until retirement. Derek, who sadly died earlier this year, took over the position of managing partner upon his father’s retirement, overseeing a considerable growth in size which brought the firm to the substantial and thriving business it is now. Gordon is well known in Sheffield, not only for his legal work, but also for his work with the Magistrates Court, where he spent time as chair of the Juvenile Bench and the Probation Committee. A committed Christian, Gordon has also worked as a lay reader in the area. So, father and sons, all having proudly served in Britain’s armed forces and safely returning from the country’s 20th century wars, to bring a very refreshing kind of law firm to Sheffield: practical, professional and in touch with the needs of their clients – and that is exactly what we have today here in Sheffield, very close to Paradise Square – which is also where Robert’s brother, Cranmer, ran his nuts and bolts company, and in Chesterfield. It is undoubtedly thanks to Robert and his family that we are where we are now with a loyal and growing client base, built over many years of respecting our heritage and having a strong belief in our future.